Add a delay to the sound that you want to stereo spread. Add between 18 to 30 milliseconds of a delay to either the left or right channel. Upon doing this, the sound will become much wider in the stereo field and will not be perceived as a delay. This is one of the simplest ways to get a wide stereo image for your sound, but it is still very effective. All this technique requires is for you to duplicate the sound that you want stereo spread and pan one of the sounds all the way to the right and the other one all the way to the left. This will instantly create a wider stereo image in your track without having to add any fancy plugins or do any delay tricks. This technique works wonders on lead guitars, but like anything in music production, experimentation is key, so try this out on all types of elements in your mix. If you want to create width in your mix, add stereo widening plugins to the specific sounds you want to spread. There are a ton of great free and paid stereo widening plugins on the market for you to use in your track. A quick google search will help you find the stereo widening plugin that is right for you. I would be cautious when using these stereo widening plugins. It can be quite easy to get carried away with widening to many sounds and overspreading these sounds. A little goes a long way with stereo spreading, so make sure you aren’t overdoing it or your track might end up sounding flat! This next tip isn’t a direct stereo imaging tip for the sounds in your mix that you want to be wider. To create the perception of a wide stereo image in your track, you need to have contrast. If every sound in your mix is very wide, then the track will sound flat and not wide at all. You need to have elements that contrast each other in the mix in order to create a wide stereo image. This means that you need to have elements that are the opposite of stereo spread, meaning you need to have mono elements. Having elements in the mix that are mono or close to being mono will create a contrast that will highlight how wide your track is. But what elements should you keep mono in your mix to create this contrast? The best elements to keep in mono are your sub bass, kick, vocals, and any main element that you want to have a lot of power in the mix. The next time you are looking to create a larger stereo image, make sure you have a few of these main elements in mono before you start to reach for your stereo widening plugin. Experiment with adding the different elements in your mix in these three delays to create that three-dimensional mix. Stereo widening is an integral part of the production process. Without applying this imaging, we are left with a track that cannot compete with today’s professional mixes. 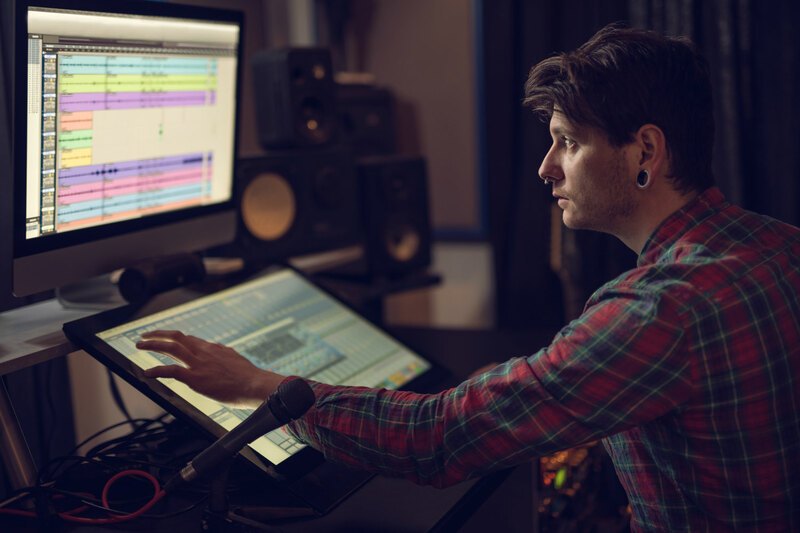 By applying the five stereo widening tips mentioned above to your tracks, you will be able to add width and space in a balanced and professional way.